If you don't snooze, you lose. Skimping on sleep can wreak havoc from head to toe. In fact, one study published last year showed that just one week of sleeping fewer than six hours a night resulted in changes to more than 700 genes. That's alarming news, considering nearly half of Americans don't bank the recommended seven or more hours of shut-eye a night, according to a recent survey. 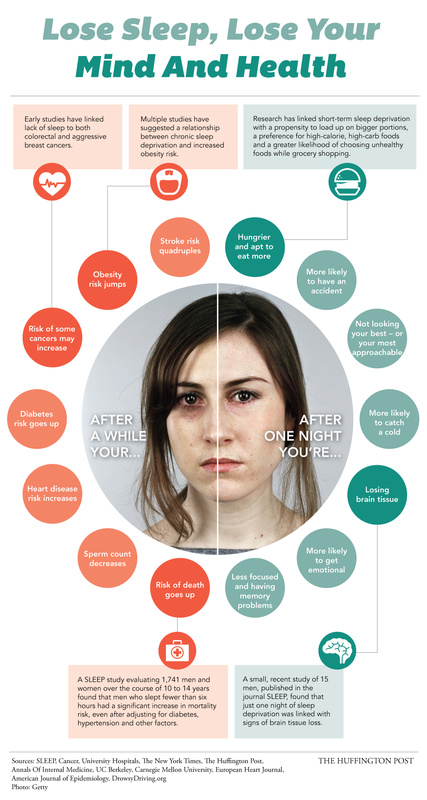 Read on for the nightmare-inducing truth about what could be happening to your body when you don't get enough sleep, starting the very first night.